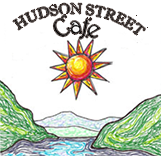 Hudson Street Café is now located at 190 South Plank Road in the Town of Newburgh. We've discovered a beautiful new venue that is like the old Cafe, only grown up! Our customers, friends and fans have always been "local" - Orange County, Hudson Valley and world travelers. It's still Donna's to all, as Chef/Owner Donna Hammond and our staff offer the finest food and service in a casual setting. We are applying for a beer and wine license and will keep you up to date on our progress both here and on our facebook page. We want you to feel enough at home to enjoy our meals with friends and family, to compliment us on what you like and to make suggestions for what you'd like to see in the future. We have delicious dishes and seasonal menus for carnivores, vegetarians, vegans and for those with gluten, dairy, and other food allergies. Whenever possible, we serve locally grown and organic food at affordable prices. We do lots of custom catering and you can have a dinner party, special celebration or event at your home, a local venue or in our dining room. 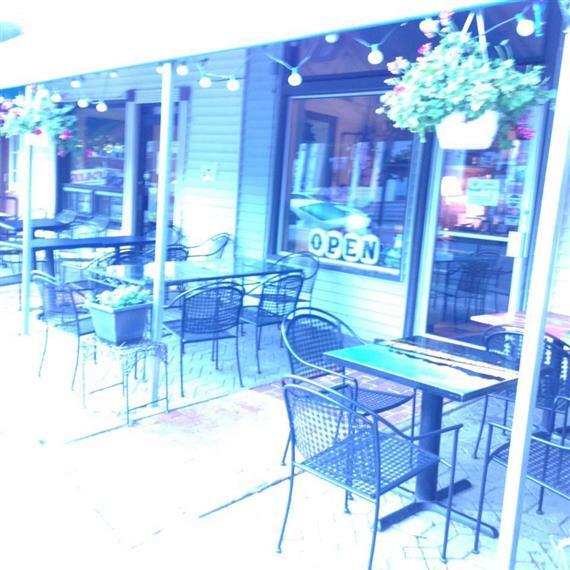 Come dine in a charming atmosphere in our new and improved digs! We've got plenty of parking every day of the week.